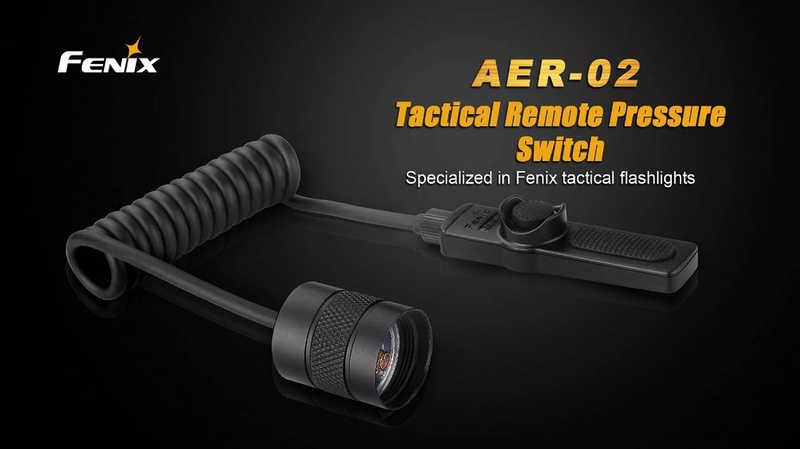 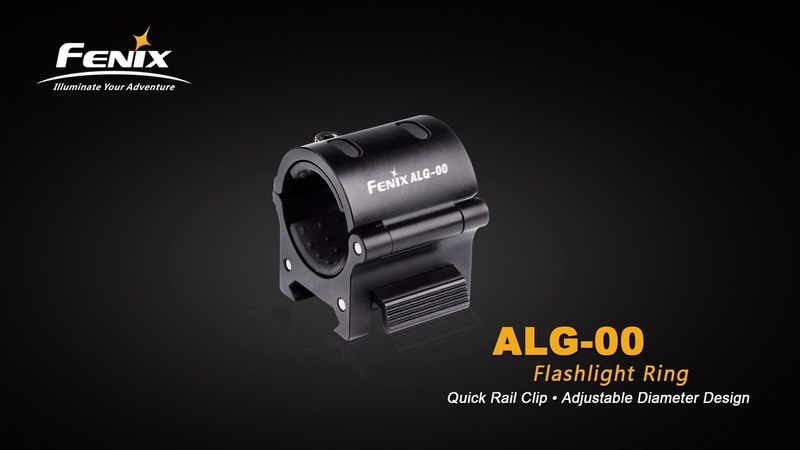 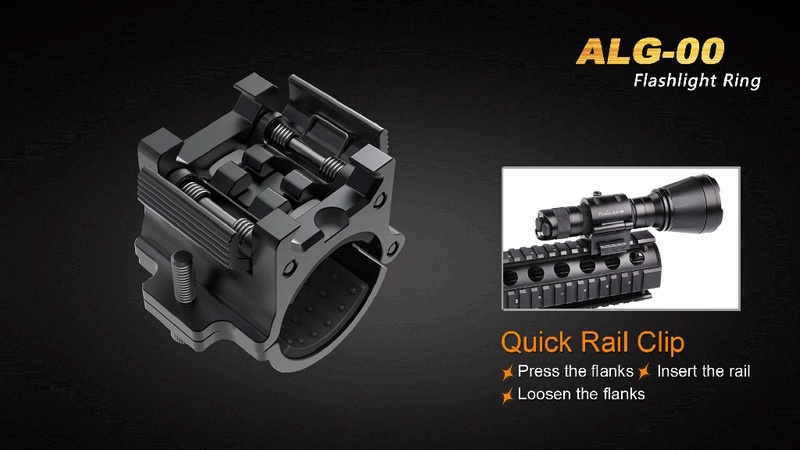 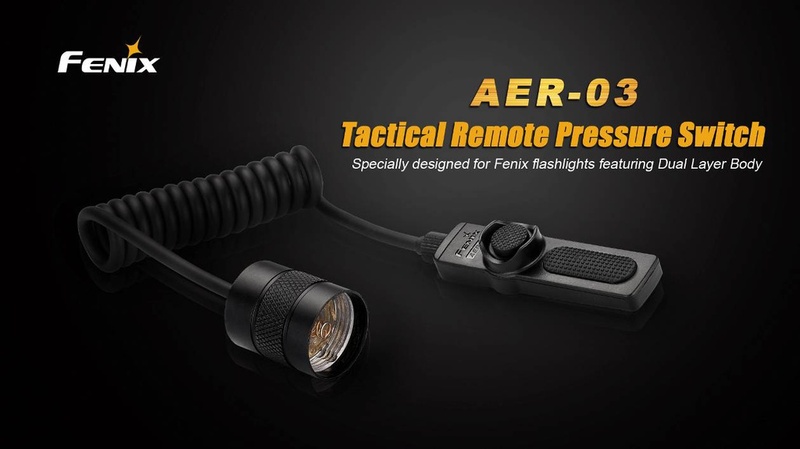 Quickly attach/detach your flashlight to your gun’s rail with the Fenix ALG-00 rail mount’s quick release rail clips. 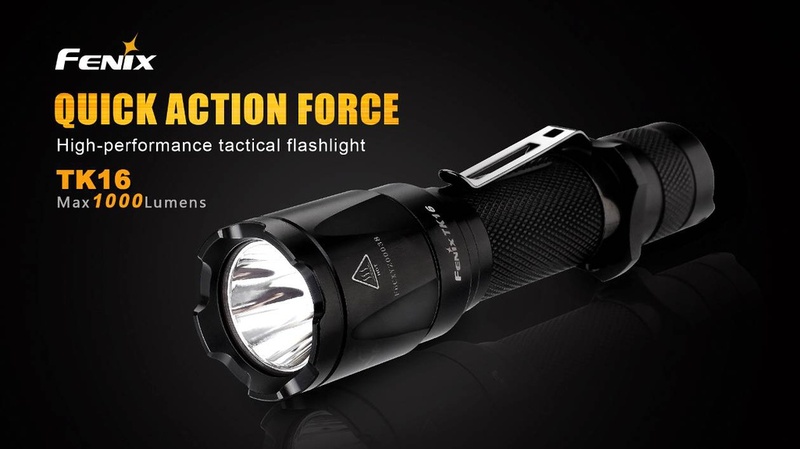 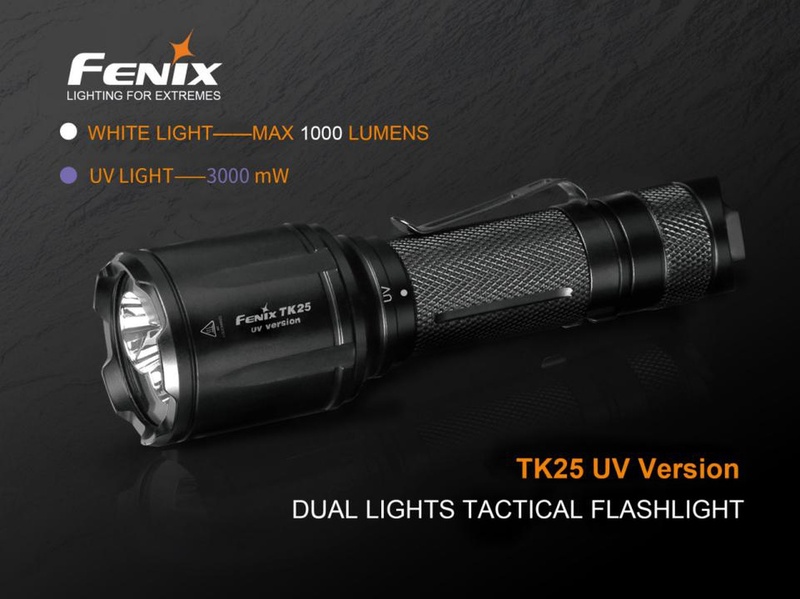 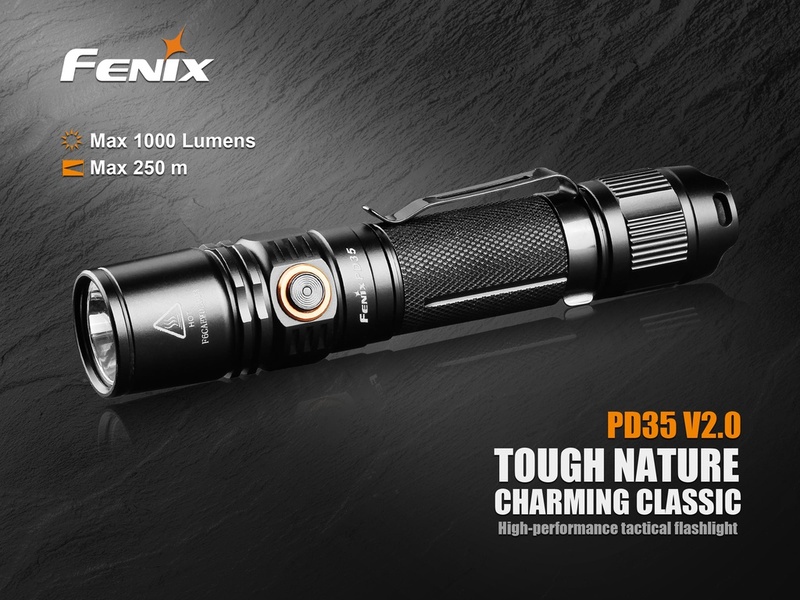 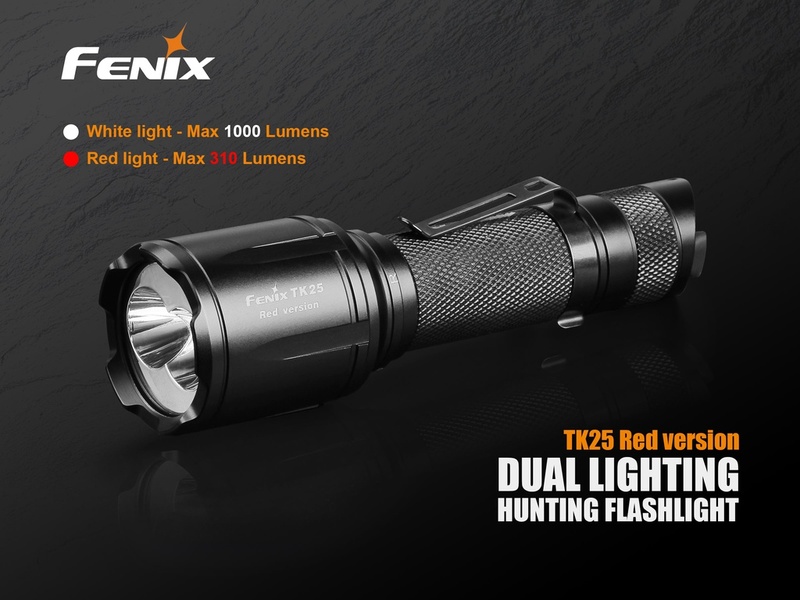 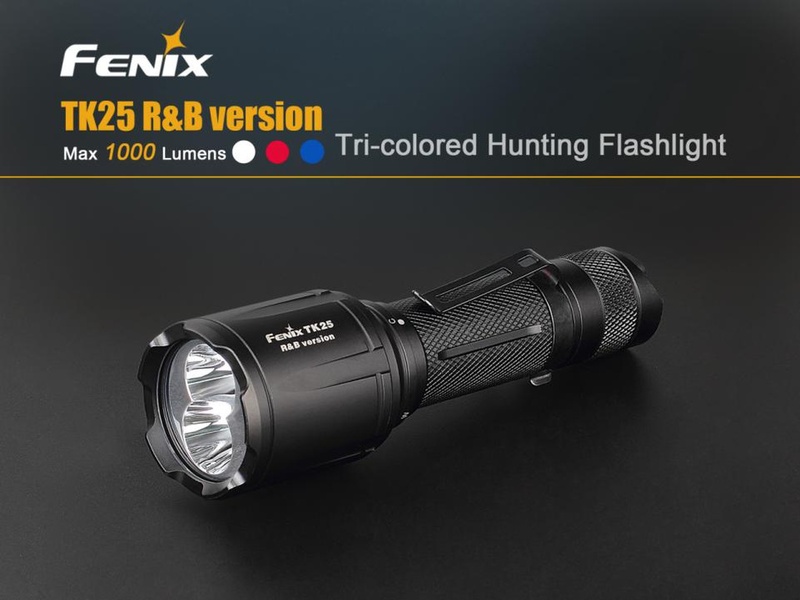 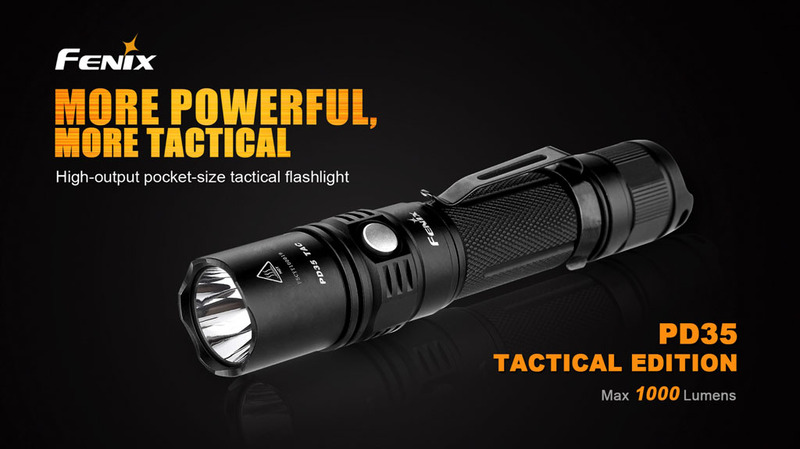 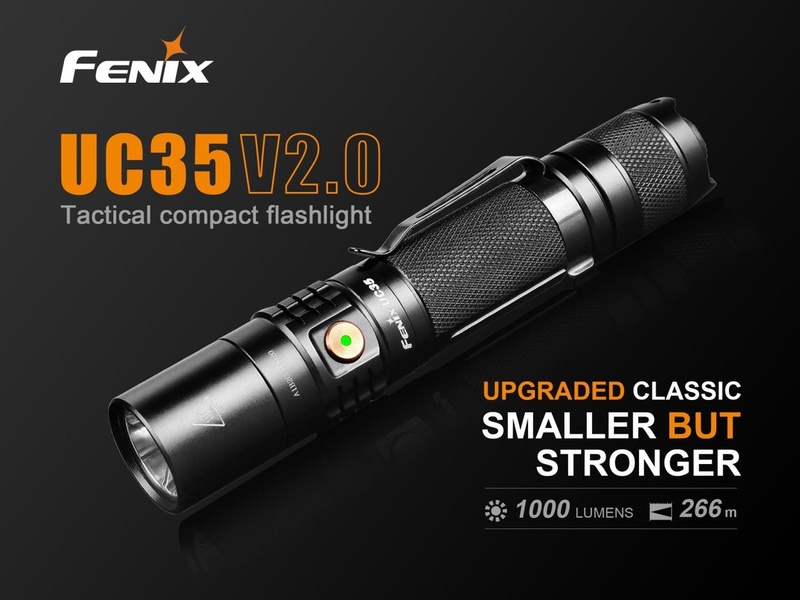 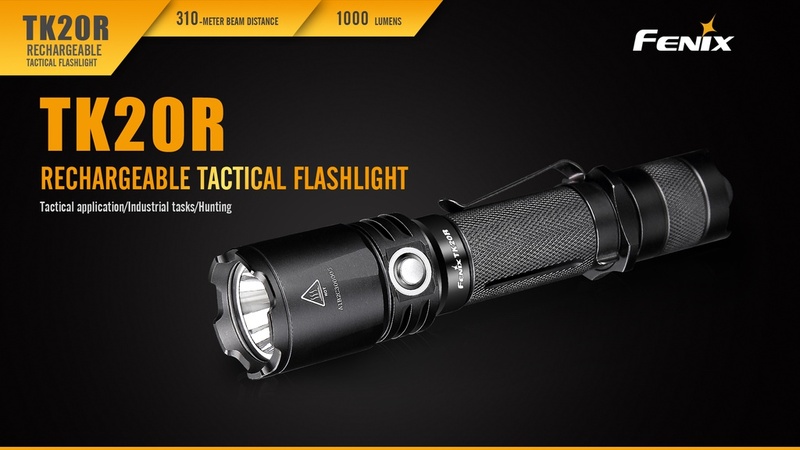 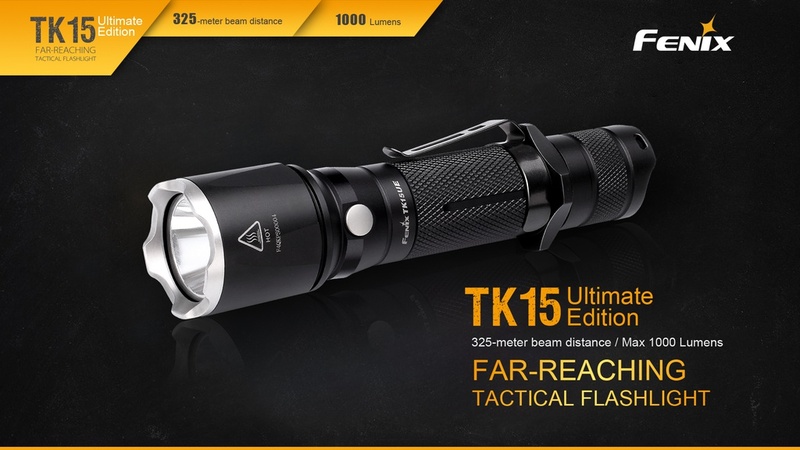 The adjustable diameter allows you to use any flashlight that is 0.9”-1.02” (22.5-26mm) in diameter. 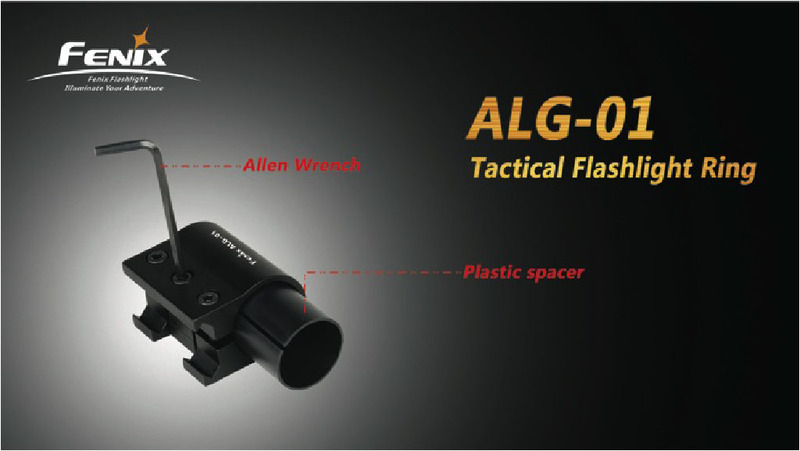 The ALG-00 is made of precision machined aluminum with an anodized black matte finish. 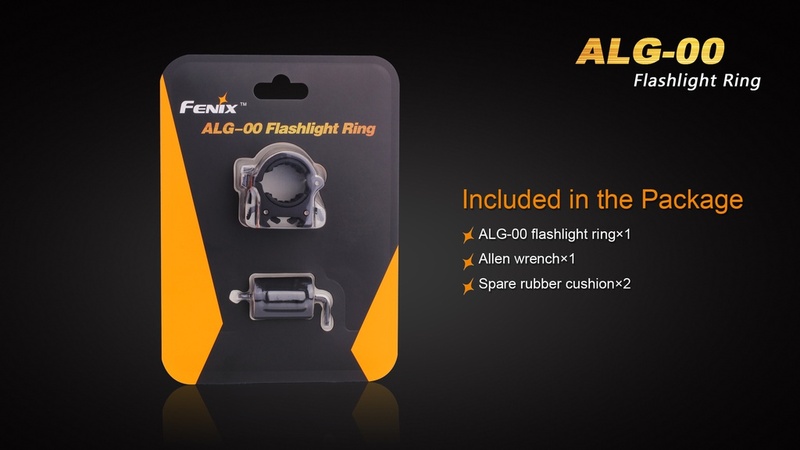 It includes an anti-skid rubber cushion to maintain a firm hold of your flashlight. 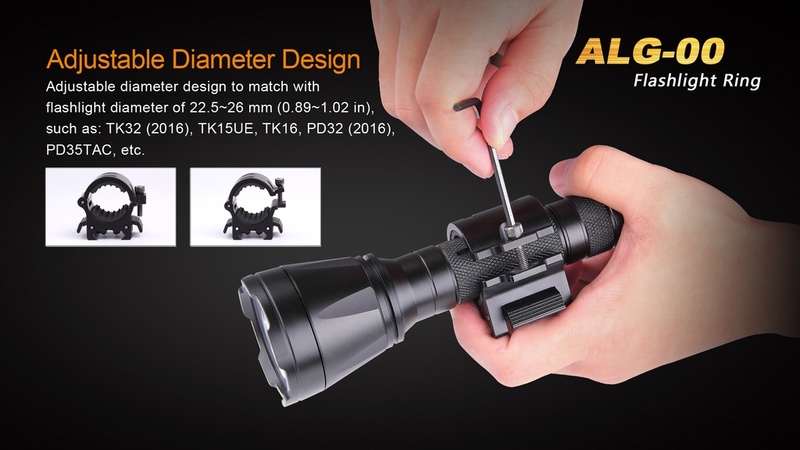 Compatible with: AER-02, AER-03, ALG-01. 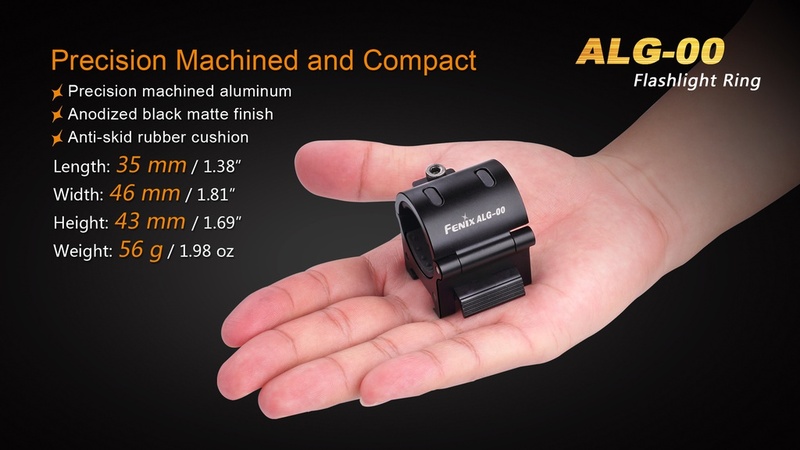 Precision machined aluminum with anodized black matte finish.